Our parasol has been highly praised by many experts around the world as one of the finest parasols ever. 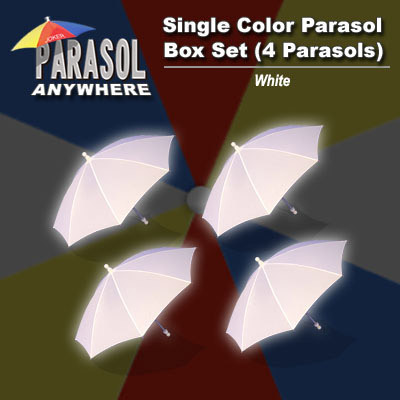 In this set, you receive 4 extremely well-made, self-opening parasols. All of the parasols are in same color (white). Simply enter your details below and we will send you an e-mail when “Parasol Box Set (4 Parasols, WHITE)” is available to ship!